Diamond trends seem to change constantly! Here are just a few examples of some of our favorite new twists on the diamond classics. Click through the images to view each gallery. This grouping shows how much fun color diamonds can be! 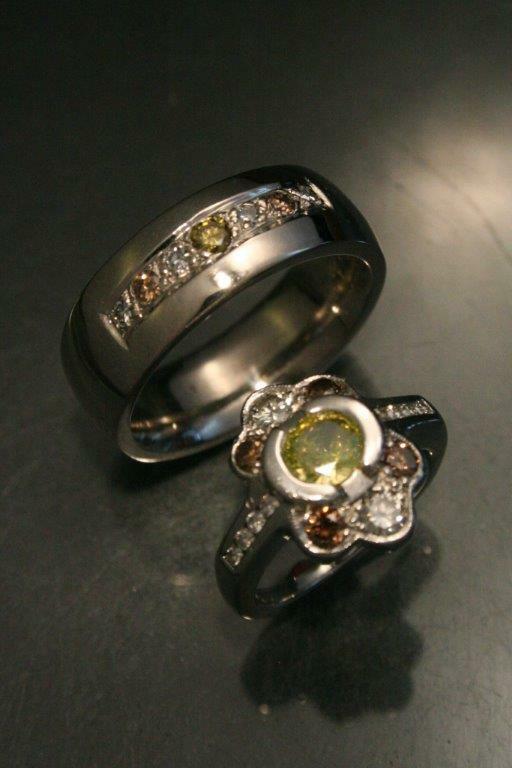 Every ring in the gallery above is set with only diamonds (the yellow, champagne, green... all of them!). Yes, even those bright blue side-stones are diamonds! Both natural- and treated- color diamonds are the perfect way to add a lot of personality to a piece without compromising durability. The Halo Diamond ring is one of the most timeless designs and is (arguably) more popular now than ever before. We're adding new twists to this classic design and loving it! The rings in the gallery above show a glimpse of just how much individuality you can add. More and more we see a return to time-honored, vintage diamond design- but now with a modern, industrial edge. We're having a lot of fun designing with the juxtaposition of our contemporary style against the classic, dainty diamond set. The result has been a successful eclectic diamond style we never expected! Bead settings, micro-pave, and milgrain make appearances in this new-vintage diamond trend. It's diamond fashion that is easily added to (stackables!) and highly customizable! 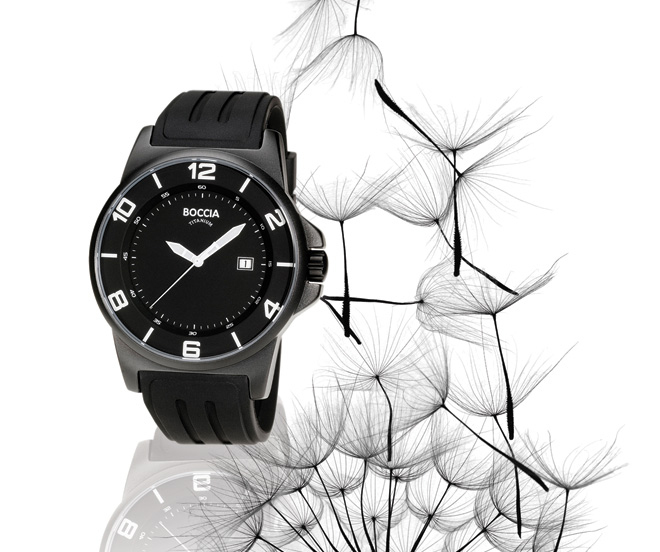 Our favorite titanium watches are back in-store. Enjoy multiple colors. New ring — Natural Colored Diamond! 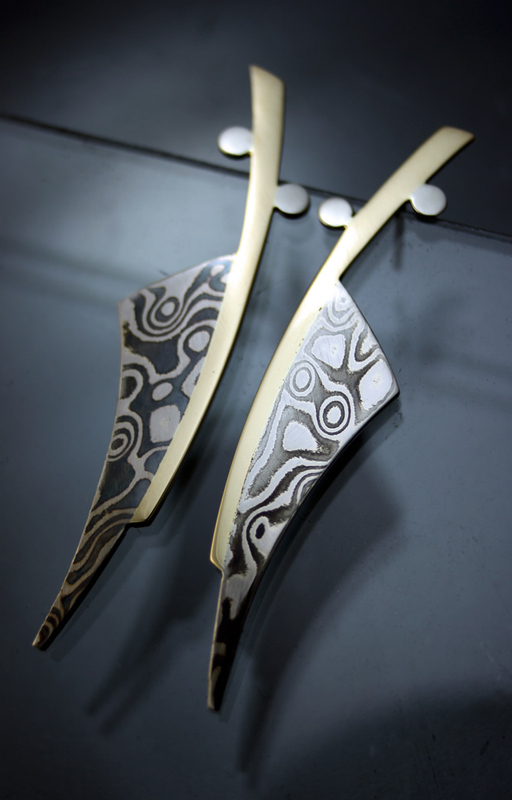 White gold/sterling mokume with yellow gold - new earrings! New ring for the store! 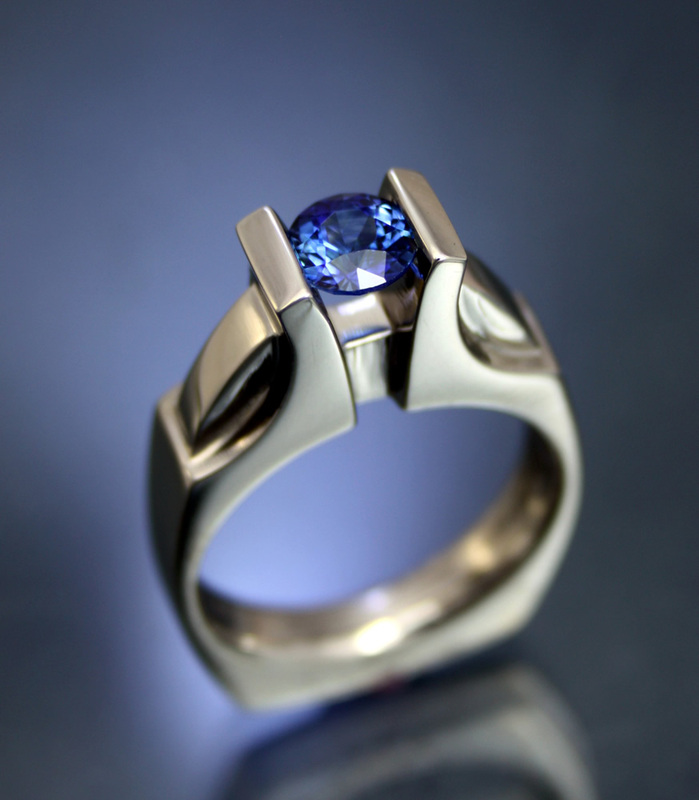 18k palladium white gold with natural blue sapphire from Sri Lanka (via Tucson). Emerald cut in white gold with rose gold/shakudo mokume inlay. Orange garnet with pink sapphires. Check it out at First Fridays tonight! New Limited Edition Pendant now available! Shown in sterling with sterling/copper mokume-gane' and color enhanced diamonds.